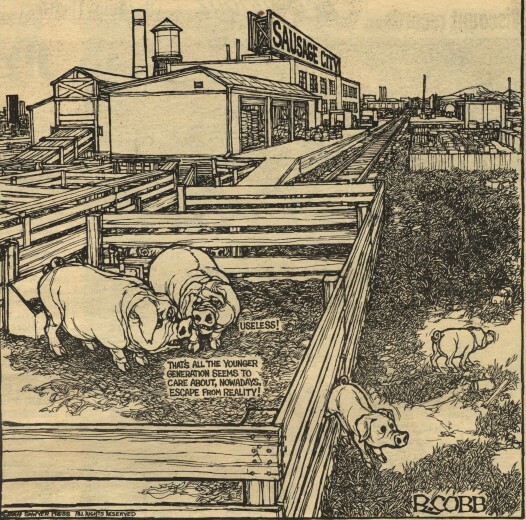 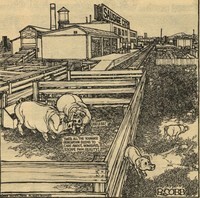 This first image, found on page 2, depicts pigs in a pen, criticizing the young piglets who are breaking free of the pen to explore the world. 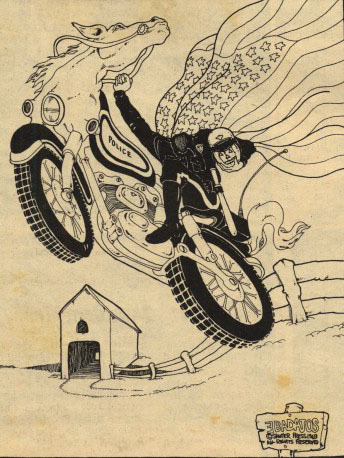 The second image, found on page 11, depicts a police officer as a headless horseman - a critique on police brutality. 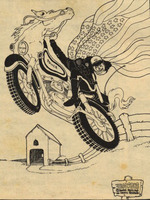 “Berkeley Tribe Political Cartoons,” Student Digital Gallery, accessed April 24, 2019, https://digitalgallery.bgsu.edu/student/items/show/8236.